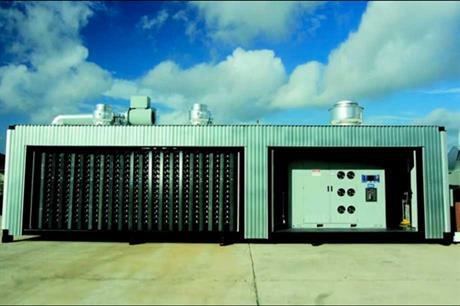 UNITED STATES: Duke Energy has completed its 36MW battery storage system at a project in Texas. The development of the storage system began in 2009 when Duke Energy agreed to match a $22 million grant from the US Department of Energy (DOE). The system, which has been described as the world's biggest, was designed by Xtreme Power and is located at the 153MW Notrees wind farm in west Texas. The Electric Reliability Council of Texas (Ercot) is also involved. It will be able to signal to the battery to either release electricity to the grid or absorb it when energy usage is low. Speaking about the system, DOE programme manager for energy storage Imre Gyuk said: "Completion of this project represents a singular success for Duke Energy, for the DOE and for the entire energy storage community in the US. "It will demonstrate the capability of energy storage to mitigate the variability of wind energy and to contribute to the stability of the grid." However, battery storage is not without its risks, and the launch follows the destruction by fire of an Xtreme battery storage system in Hawaii in August. According to reports, the fire in the battery storage building at First Wind's 30MW Kahaku project. Honolulu's fire captain said the fire was both difficult to control and dangerous to tackle as the batteries were packed closely together. He added this was the second fire to take place at the storage plant. An earlier one in 2011 burnt out before causing serious damage.